Whether you are a repeat tourist to Singapore or a first time visitor, this island is sure to take your breath away. The sheer beauty of this place will leave you in awe. From quaint old buildings to architectural masterpieces, from street food to gourmet restaurants, from local festivities to international events, this pretty little island sure has something to suit everybody’s palette. To see this city up close and personal, you have to stay in and around Marina Bay. For those who are looking for sheer grandeur and an ultra-luxurious stay, HooplaHotels escorts them to none other than The Ritz-Carlton, Millenia Singapore. 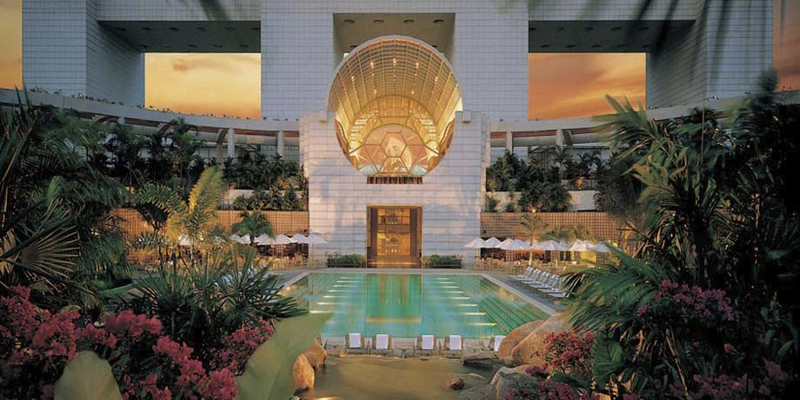 This opulent hotel with its contemporary art, awe-inspiring view and amazing food is sure going to win your hearts. Set in an area of seven acres, this 5-star hotel is one of the largest accommodations in Singapore and is amidst a garden oasis. Owing to its setup and its proximity to popular attractions and international businesses, this hotel is perfect for business and leisure travellers. The hotel is just a 20 minutes’ drive from the airport. The hotel features 35,000 square feet of meeting space, award-winning restaurants, a massive contemporary art collection with a total of 4,200 pieces, luxurious spas and a host of other facilities for your comfort and to keep you engaged. 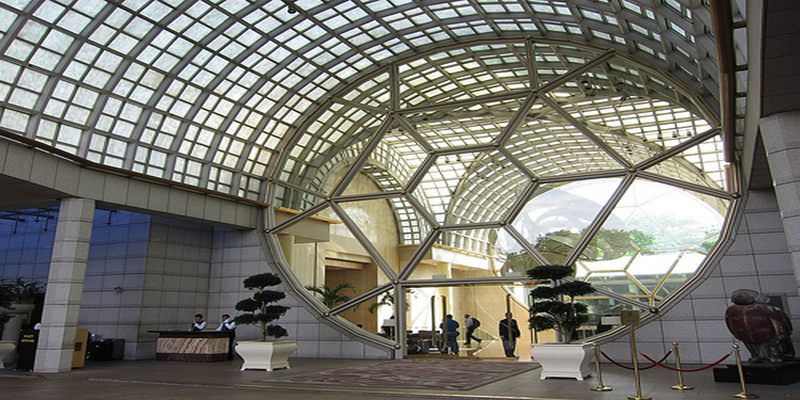 This hotel features 608 rooms, each of which overlooks the Singapore Skyline, the Singapore River or the Marina Bay. The hotel offers 13 different types of suites and rooms to choose from. All the rooms have been designed by Pritzker prize-winning architect Kevin Roche. Apart from the amazing view, each room is equipped with a 46 inch LED TV, complimentary Wi-Fi, phones, iPod docking stations, a large work desk, lit-up drawers with credenza cabinets and feather bed. While at The Ritz-Carlton, Millenia Singapore, enjoy the sumptuous food at one of the many restaurants that this hotel hosts. Enjoy delicious Cantonese food at Summer Pavilion, a One Michelin Star restaurant in the hotel. Surrounded by a modern Chinese garden, this restaurant is sure going to give you a fine dining experience. You can also treat your taste buds to the true taste of Singapore at their restaurant Colony. Relax and unwind at the Chihuly Lounge in the presence of the marvelous glass sculptures by the famous artist Dale Chihuly. For a more relaxed and casual setup, you can also try a variety of local and international cuisines served at Pool Bar, their poolside restaurant. Do not forget to avail the Spa services, here in the hotel. Indulge your senses and soothe your nerves at this amazing spa that provides you a wide range of services to suit all your whims and fancies. For those travelling with children, there are host of activities to keep your kids occupied and as a result, you relaxed. If you are looking at starting a new phase of your life, the hotel also has wedding packages available for you. Enjoy your stay at this luxurious hotel and spend time exploring the extremely beautiful city that is Singapore.